MUDRA (Micro Units Development and Refinance Agency Limited) Bank was formed in April 2015 by the Government of India’s Union Budget. It aims to provide integrated financial support to the micro enterprises sector which includes small manufacturing units, food service units and small industries to name a few. The basic motive of establishing MUDRA is to extend the facility of institutional finance to small business entities involved in various trading, manufacturing and service activities. Along with MUDRA, the PMMY (Pradhan Mantri MUDRA Yojana) was also launched. Under the PMMY scheme, everyone from the non-farm income generating sector can seek loans up to Rs. 10 lakhs. The MUDRA Loan scheme was proposed with the motive of including business people comprising NCSBS (Non-Corporate Small Business Sector) and ‘own account enterprises’ into the formal banking system. Typically NCSBS in India includes street vendors, repair shop owners, small scale industries and artisans. These small businesses many of which are informal in nature, provide employment to about 10 crore people in India. Micro Credit Scheme– Under this scheme, financial support is extended through Micro Financial Institutions (MFIs) so that they can provide business loans of up to Rs. 1 lakhs. Typically the mode of delivery of such loans could include individuals engaged in specific micro enterprise activities as well various joint liability groups (JLGs) and self help groups (SHGs). Women Enterprise Programme (Mahila Uddyami Yojana) – This scheme is an important part of MUDRA Yojana targeted specifically at women entrepreneurs. It is designed to encourage individual women entrepreneurs, women’s Joint Liability Groups and Self Help Groups to set up various micro enterprises. Special concessions may be afforded in such cases for example reduction in interest rates of up to 0.25% on loans granted. Refinance scheme for Banks– MUDRA allows banks including Scheduled Co-operativs Banks, Regional Rural Banks and Commercial banks to easily refinance loan amounts (up to Rs 10 lakhs per unit). The refinance facility is available only if these business loans have been extended for micro enterprise activities. Banks eligible for availing the refinance facility need to comply with requirements that are notified from time to time. Mudra Card– MUDRA card is an innovative credit product which makes credit easily accessible to small business while providing flexibility to the card owner. It can be used as a credit card with overdraft (loan) limit and can also be used as a debit card with the facility of ATM withdrawals. The Mudra Card can be used by businesses to obtain working capital under its unique cash-credit arrangement. Credit Guarantee Fund– Also known as the portfolio credit guarantee, this involves the creation and use of a special fund termed as the Credit Guarantee Fund for Micro Units (CGFMU). This fund is managed by the National Credit Guarantee Trustee Company Ltd. and allows eligible entities to receive micro loans with ease. Equipment Finance Scheme– This scheme as part of the MUDRA Loan scheme enables small entrepreneurs and micro units to avail a loan to finance the purchase/upgrade of qualifying equipment/machinery. This encourages the enterprises to improve their production techniques to increase overall productivity and efficiency of their business. Credit to Micro Enterprises– One of the basic motives of MUDRA is to maximise both the quantum of benefits and the number of beneficiaries from the scheme. A large proportion of India’s population is currently involved in specific sectors including but not limited to Land Transport, Food production, Textile production and community services. To meet the growth requirements of these sectors, various tailor-made products and schemes were and are being launched in order to help micro enterprises succeed and prosper. Who can borrow- Any businessperson or business who/which has not been a defaulter on any loan repayment previously is eligible to borrow under the PMMY (Pradhan Mantri MUDRA Yojana). Thus individual business owner, private limited companies, public sector companies, proprietary firms or any other legal business entity can apply for the Mudra loan. Purpose of Loan assistance- As MUDRA loan is a business loan, the loan amount cannot be used for personal needs. It is provided to small businesses that carry out specific activities in the manufacturing, services or trading sectors. Businesses can utilize the capital obtained from a MUDRA loan for marketing purposes, increasing the available working capital or for acquiring capital assets to grow the business. Shishu: Shishu loans can be availed up to the maximum limit of Rs. 50,000 as mentioned earlier and the interest rate on offer can start from as low as 1% per month i.e. 12% annually. Kishore: PMMY loans exceeding Rs. 50,000 and up to Rs. 5 lakhs are designated as Kishore loan and in such cases, the rate of interest will tend to vary depending on the bank sanctioning the loan and the credit worthiness of the borrower. Tarun: Tarun loans are those that feature PMMY borrowings in excess of Rs. 5 lakhs and up to the maximum limit of Rs. 10 lakhs as per the scheme. 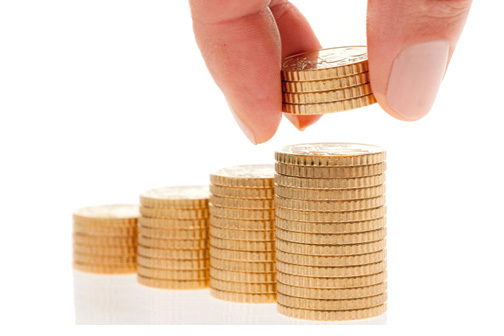 The rate of interest applicable to these loans varies on a case to case basis. Maximum Tenure– As per existing rules of the PMMY, the maximum repayment period for a MUDRA loan can extend to 5 years, however, the repayment period can be shorter if the lender decides so when sanctioning the loan. It is obvious that the MUDRA scheme can benefit small industries operating in India and act as a driver for the country’s development. But this scheme helps banks i.e. the lender too. The following are key reasons why 27 public sector banks, 36 microfinance institutions, 25 NBFCs and 4 co-operative banks are already participants in the scheme with more expected to be added in the future. Any security used to provide the MUDRA loan will be held by the lender so their risk is minimized. Additionally, any asset created using the loan will also be hypothecated to the lender. The provision of Credit Guarantee Fund trust for Micro and Small Enterprises (CGFMSE) safeguards the bank if the borrower fails to pay their liabilities as a result of incurring a business loss. The bank may also ask for DPN (Demand Promissory Note) which is a written note of promise made by the borrower to pay back the loan amount on the agreed rate of interest. All in all, the MUDRA scheme has essentially built a great infrastructure for last-mile credit delivery, thus supporting development and promotional activities. It has laid down financial practices that will ensure client protection and will be useful in micro industries further. *State wise data is as provided on the Mudra.org.in website.